One of the keys to a beautiful lawn is aeration. If you want a beautiful green yard, aerating your lawn is the best thing for it. If you have sandy soil, you may only need to aerate once a year. But if your soil is more like clay, you’ll need to aerate multiple times a year to maintain your lawn and garden. The process of aerating will be a weekend project and take a good bit of effort, but having a healthy lawn is worth it. Aeration is basically just punching holes in the soil to increase its exposure to oxygen and water. 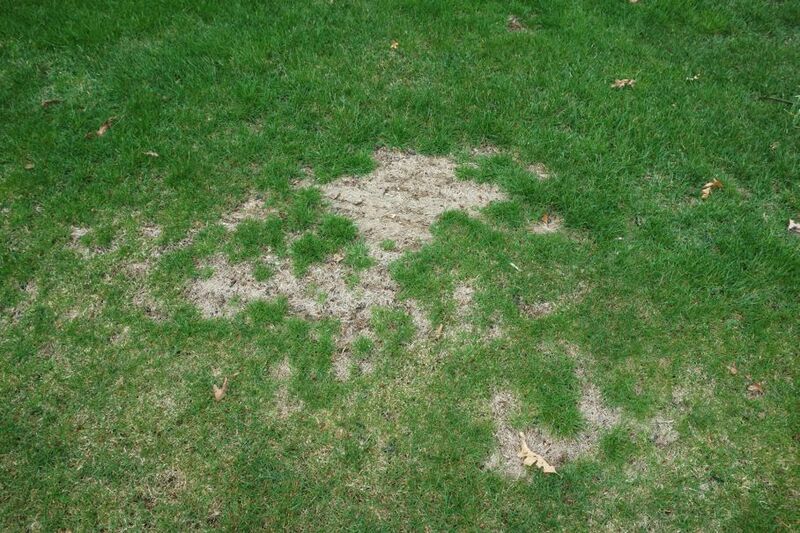 When grassroots are exposed to more oxygen, they’re able to grow deeper, making for a healthier lawn. These six aeration tips can help make your lawn the best on the block. Before you start aerating, make sure your lawn is moist. If it’s too dry, your aeration efforts will be less effective. If you’re using a handheld aerator, you make get worn out before you even finish the job. The day after a rainstorm is the ideal time to aerate your lawn. 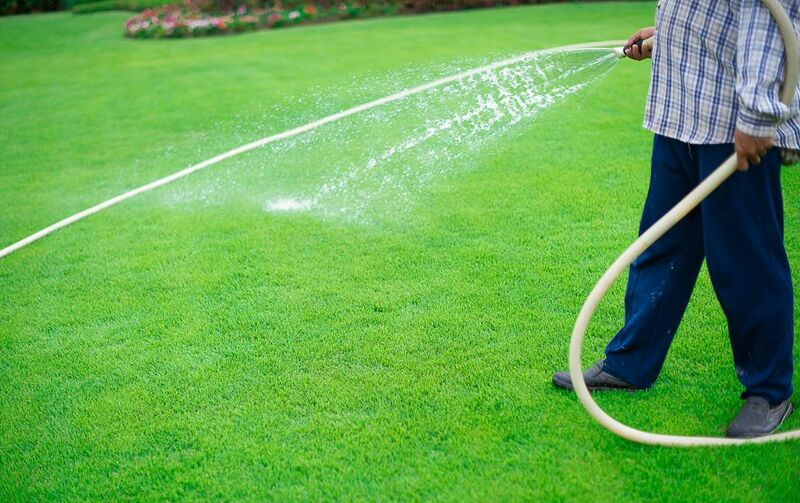 But if you don’t get a lot of rain in your area, you can moisten your lawn just by watering it normally. Over time, the soil beneath your lawn will become compacted, making it harder for oxygen and water to reach the grassroots. Traffic from kids and pets is not good for your lawn because they compact the soil as they play on it. And if your house was built recently, the construction also packed down the top layer of soil. If your grass was laid as sod, the layering can also lead to the soil underneath becoming compressed. All of these factors will combine to produce an unhealthy lawn. 3. To Spike or Not to Spike? 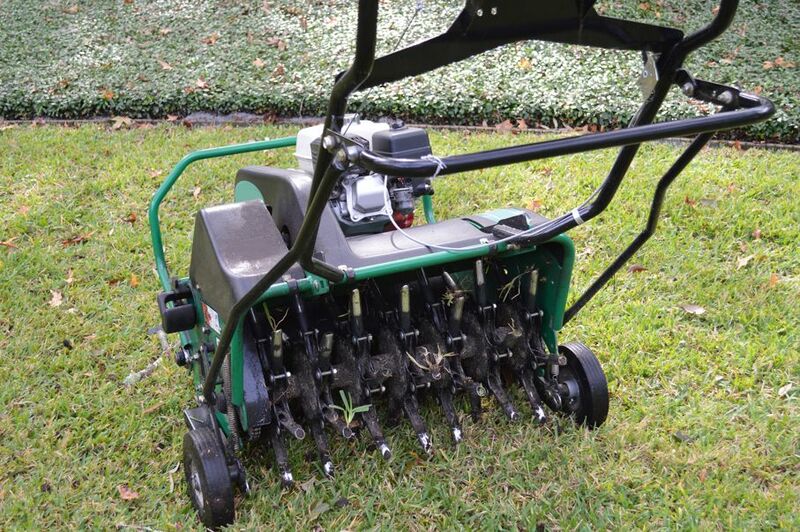 The two main lawn aerating tools are spike aerators and plug aerators. Plug aerators are better than spike aerators because plug aerators actually remove plugs of dirt, leaving behind a hole. But spike aerators don’t remove plugs of soil. They just create holes by pushing aside the surrounding soil. This is not ideal because it can lead to further soil compaction. You can even buy shoes with spike on the bottom to aerate your lawn by simply donning that medieval-looking footwear and walking around your yard. 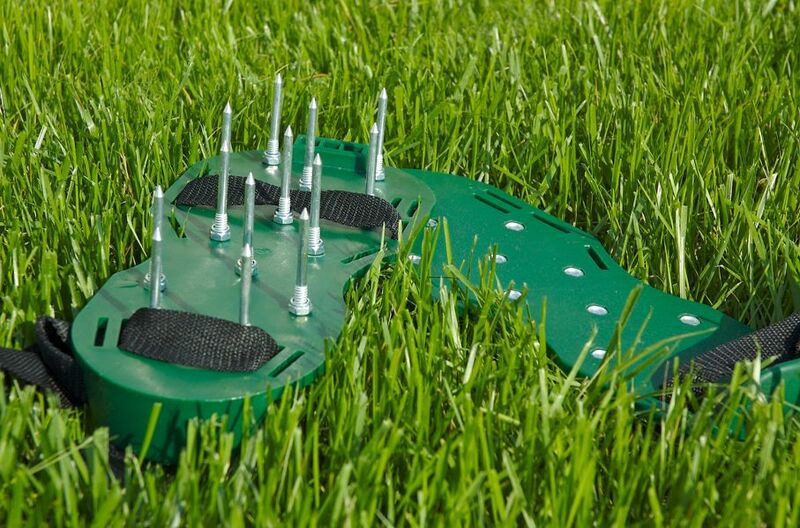 Spiked shoes are OK for DIY lawn aeration, but they’re not the most effective way to aerate because your body weight may not be enough to drive the spikes in deep enough, and you could miss some spots. You can also rent a lawn aerator machine from your local hardware store. Aerator machines are great because they make evenly-spaced holes. 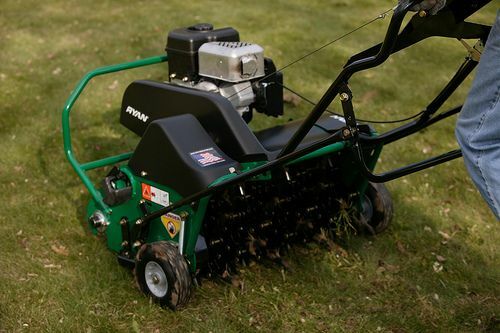 If using an aerator machine, you may need to go over heavily-compacted areas multiple times. High-traffic areas are going to be the areas you need to focus on the most. If you have an area that experiences little to no traffic, you can save time and energy by skipping those spots. Try to make the most of your time with the machine, since renting one can be expensive. After you’re done machine-aerating, remove the soil plugs from the machine. You can break them up with a hose and rake. Once the plugs are broken up, you can spread the soil back over your lawn. This will help to return your lawn to a uniform appearance. When you’re finish aerating, it’s important to follow up with basic lawn care. 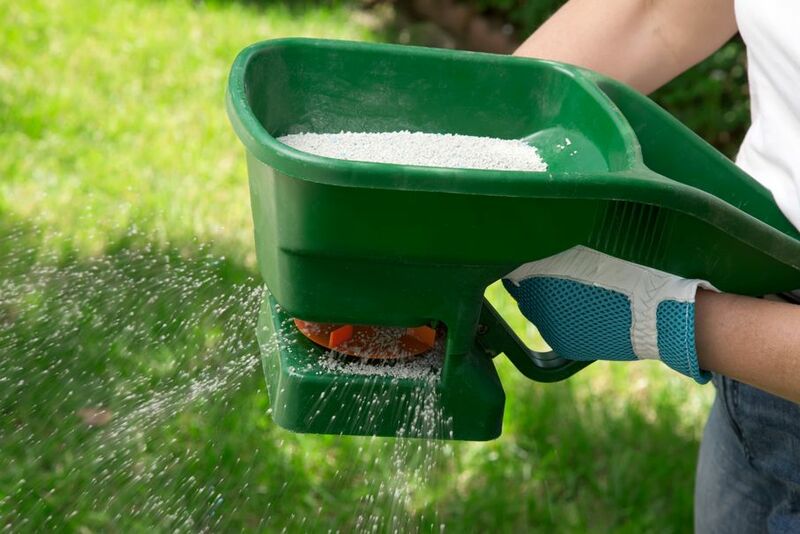 Your lawn still needs to be properly watered and fertilized. With the added help of aeration, the fertilizer and water will have a much easier time reaching the roots. For more lawn mastery, check out It’s Not Easy: Growing a Lawn That Makes the Neighbors Green-Eyed.